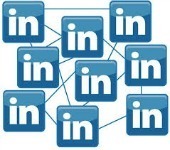 You have created your stand out LinkedIn profile, now you have to start building your network by inviting your contacts to connect. Success on LinkedIn is based on how well and much you participate. As with all social media sites, LinkedIn is very much a two-way platform. No matter what you are doing on the site, consider yourself as a team player and that the success of the team is based on everyone participating. By giving and sharing your knowledge and information, you position yourself as a fair and generous player. For all the effort you exert you will receive tenfold in return. Be strategic in how you build your network, focus on quality (depth) whilst striving to expand the quantity of your connections (breadth). The quality relates to not only the strength of relationship you have with the person today, in the past or future, but also the value of exchange – on and off-line. Quantity brings new opportunities but it is not without its challenges. This is where you have to open up your horizons and take a leap of faith. Approach this expansion strategically and you will grow your visibility through gaining exposure to the networks of others and gathering and sharing valuable insights and knowledge allowing you to develop deeper and more meaningful relationships and even to start having fun. • Personalise every invitation. You are limited to 165 characters, so this will not be a letter – you can even cut and paste – but a short courteous invitation will be a winner each time. • Each profile has the possibility of advising how they would like to be connected, check this out before sending invitations. Adhering to the person’s wishes will increase the probability of your invitation being accepted. • Be friendly and authentic in your communication. LinkedIn is a professional site, but having a professional yet friendly casual approach is favoured. Also, “Be yourself, everyone else is already taken.” (Oscar Wilde). • Use ‘subject titles’ that are interesting and the person will want to open. • Invite contacts at your level of seniority and do not be afraid to invite your senior colleagues and more junior. • Send a ‘thank you’ note to each person who accepts your invitation. This is the beginning of a fruitful relationship for your both. • Start by inviting your immediate family and friends. Move onto colleagues, clients, suppliers, acquaintances you know at the gym, your kids’ school, neighbourhood. • Each time you send an invitation, LinkedIn will send you a list of names and photos of ‘People You May Know’. This is based on information you have noted on your profile and on the people you are inviting. This is a useful tool, it often throws up people you have not thought of inviting. N.B. Do not just click on the connect button, as this will send a generic invitation. Click on their name and invite as you would any other person. • You have the possibility of importing your address book and database. LinkedIn will send an invitation to your lists. If you are comfortable doing this, it is a quick and effective way to invite a lot of contacts in one go. • LinkedIn has a very robust search engine that will allow you to expand your search not only by name and keyword but also by alumni group, company, location, language, key interests. Play around with this, each search will throw up new names, again you may come across someone you know but have not thought to invite. • Research who your connections have in their network. If the connection has set the privacy button, you will only see your common connections, if they have left their network open you may find people you know and may want to connect with. • If you find someone you would like to connect with that is outside of your network (2nd or 3rd degree contacts), you can request an introduction from a 1st degree connection. If your 1st connection agrees to introduce you, it is a good endorsement and you have every chance the person will accept the invitation. Introductions are free of charge and have expiry dates. • InMails are also available to invite someone you do not know. You can send one by clicking the ‘Send InMail’ link on the members profile page. The number available to you each month depends on the level of membership you have. InMails are also available for purchase. • When LinkedIn shows you the ‘People You May Know’, look at the list with fresh eyes. Rather than looking for people you may know, look for people you would like to be connected with for professional reasons. They may be in the same profession, have conducted a piece of work you have admired, work in one of your target companies. You can, either request an introduction, send an InMail or take the risk of sending an unsolicited invitation. If you choose the last option, be sure to personalise the invitation stating why you would like to connect. • When attending conferences, workshops or seminars you may want to invite the speakers/facilitators beforehand. This is where a well-crafted unsolicited invitation could be well received. • Look at the members of your LinkedIn groups strategically, is there anyone there you would like to connect with? Some groups facilitate introductions in which case you make it known to the manager that you are willing to accept invitations. Otherwise, be sure to choose the group’s name from the drop down box when sending invitations this will show up on the email and increase you chances of being accepted. • Your aim with LinkedIn should be to create win/win relationships. • Aim for 500 connections as quickly as you can. • Do not assume 1st degree contacts know each other well. • Before sending the invitation check how many connections the person has. You may to find someone who is active on the site and has 500+ connections will be more open to accepting unsolicited but personalised invitation than someone less active. • Be sure to use the drop down box when sending invitations, by selecting one of the criteria of how you know the person – alumni, group, work – will increase the chance of your invitation being accepted.